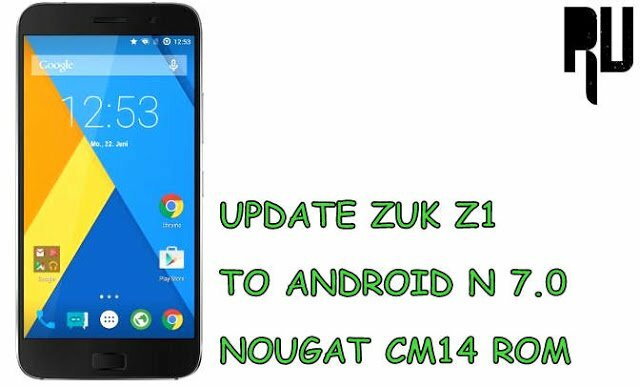 How to Update Zuk Z1 to Android N 7.0 Nougat CM14 ROM . Update Lenovo Zuk Z1 to Android Nougat 7.0 Using Cyanogenmod 14 . 1 Update Lenovo Zuk Z1 to Android Nougat 7.0 Using Cyanogenmod 14 . 1.1 Download CM14 Zuk Z1 android N 7.0 Nougat Update . 1.1.1 Install CM14 android N 7.0 Nougat in Lenovo Zuk Z1 . Do yo want Android nougat 7.0 update for Lenovo Zuk Z1 ? or want to Download Cm14 for Zuk Z1 ? If yes then you are at right place . Today we are here with the guide on How to Update Lenovo Zuk Z1 to android 7.0 Nougat . Lenovo Zuk Z1 is the first smartphone from Zuk in india . The smartphone was launched under Lenovo brand in india . Lenovo Zuk Z1 comes with cyanogenmod os 12.1 which is based on android lollipop . But today we are here with Cyanogenmod 14 for zuk z1 which is based on android nougat . Android N 7.0 nougat is the latest operating system and it comes with features like multi-window, System ui tuner . So in this guide we will tell you How to upgrade Zuk Z1 to android n 7.0 nougat . Download CM14 Zuk Z1 android N 7.0 Nougat Update . Android N 7.0 Nougat based . Related : How to Update Lenovo K3 Note to Android N 7.0 Nougat . Related : Names of Devices Expected to Get android N 7.0 Nougat Update . The CM14 rom for Lenovo Zuk z1 is based on android nougat 7.0 , but being a custom rom it may contain some bugs . There should be more then 4gb of free space in the internal memory to flash the update . 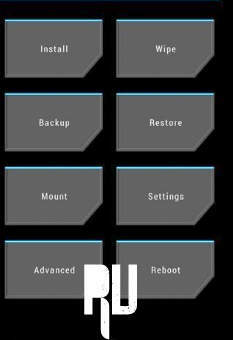 TWRP recovery or CWM recovery is required to flash the update . Minimum 70% of battery is required to flash the rom . Install CM14 android N 7.0 Nougat in Lenovo Zuk Z1 . First of all Download Cyanogenmod 14 for Zuk Z1 . Now turn on your computer . 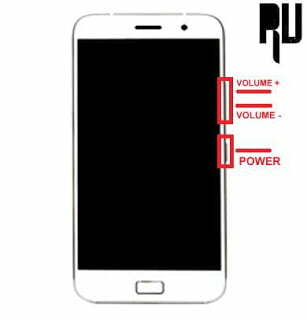 Now connect your Zuk Z1 using A USB cable . Now copy the update.zip and paste it in the root of Sd card . Now you have to boot Zuk Z1 in recovery mode . After entering in recovery mode you will see many options . Now first of all tap on Wipe . Now make a backup of all files . Now choose the Update.zip file you downloaded earlier . Now tap on Yes install Cm14 in Zuk Z1 . Now the flashing procedure will start . After sometime you will get a notification ” Cm14 flashed successfully ” . Thats all !! You have successfully update Lenovo Zuk z1 to Android 7.0 Nougat . So this was our guide on How to Update Zuk Z1 to Android N 7.0 Nougat, I hope Cm14 rom for Lenovo Zuk Z1 helped you . does installing a custom rom really updates the android version like from lolipop to nougat or just apply theme and fake the system species to show updated android version?????? It Depends on the custom rom , Some custom roms are themed and some come with real android upgrade . The CM14 for Zuk Z1 is based on Android n 7.0 Nougat . Mr Harsh , does is support volte ( Jio ) also. Can u confirm ?? When will cm14 with OTA updates be released for ZUK Z1?